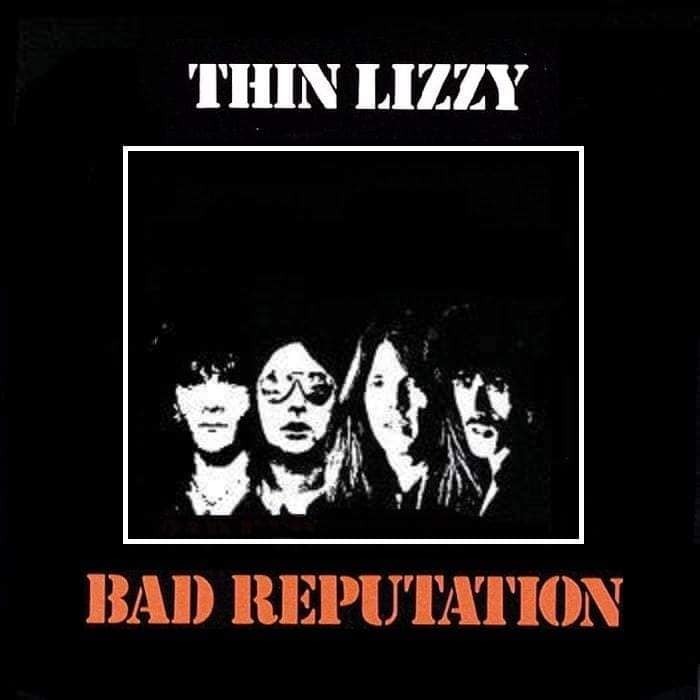 While it has long been rumoured that Brian ROBBO Robertson was not available for this album, here are comments posted by his manager Soren Lindberg on the Robbo Facebook page ... "Robbo played on every single song on Bad Reputation! Mostly rhythm guitar and keyboards, but lead guitar on "Opium Trail", "Killer Without A Cause" and "That Woman's Gonna Break My Heart". He also shared the harmony lead on "Soildier Of Fortune". Regards, Sören"
Here is a fan's 'revised cover' recognizing Brian 'Robbo' Robertson's input into the album. 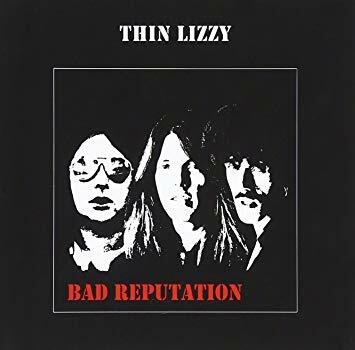 Bad Reputation is one of three Thin Lizzy albums produced by Tony Visconti. Visit Tony's website for his comments about his experiences.